Get To Know Ireland in A Lifetime Experience Way! Transfer to Ashford Castle for champagne and canapés. Ashford Castle - 13th Century Castle located ½ hour from Galway. Once the estate of Lord Ardilaun and the Guinness family, Ashford opened as a luxury hotel in 1939. The Castle's great hall is lavishly decorated with rich paneling, fine period pieces, and objects d'art and masterpiece paintings. Ashford Castle recently voted The Best Resort Hotel in Ireland for the second year running by Condé Nast Traveller Readers. Ashford Castle is a member of Leading Hotels of the World and Red Carnation Hotel Collection, an award-winning collection of five and four stars family-run boutique hotels in London, Dorset, Guernsey, Geneva, Florida, South Africa and Ireland. Each property has its own individual character and unique location that reflects the local environment, culture, and cuisine. We will piper pipe you over the bridge to the steps of the castle where the staff will line up to welcome the group. In the Ardilaun Suite small Irish band will await you, playing traditional music and champagne and canapés will be served. After short rest - time for activities! The group will be divided into 4/5 teams, as smaller teams are easier to work with and also each guest will have time to partake in the activity. Flying a hawk is an experience of a lifetime! Ireland’s School of Falconry is the oldest established Falconry School in Ireland and offers you the chance to fly hawks around the beautiful castle grounds and woodlands during a private Hawk Walk. On arrival, you are greeted by your Falconry Instructor and introduced to your hawks but, within minutes, you will be setting off to fly your hawks free. As you fly the hawks, your falconer will explain all about the hawks’ eyesight, their speed and agility and how the hawks are trained. As you walk through the woodlands, your hawks will closely follow you, flying from tree to tree, before swooping down to land back on your gloved fists whenever you ask them to do so. You will never forget the moment when your hawks’ first swoop down from a tree and land back on your gloved fists! Test your skill against the bolting rabbit, springing teal or wily woodcock. 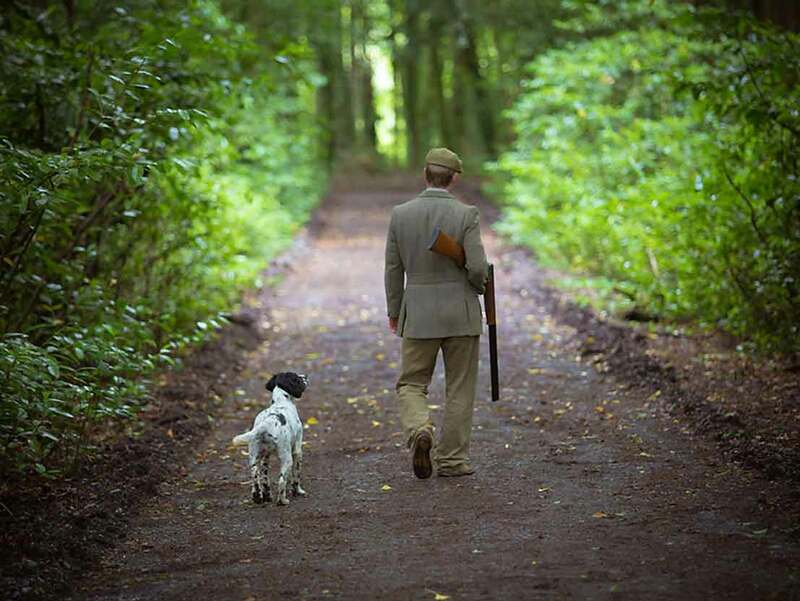 Beginners can obtain a pleasant introduction to the sport and thorough grounding in the safety and etiquette of shooting in general. Enjoy this ancient sport played by kings and lords for centuries. Anyone can participate simultaneously as long as the participants are as tall as the bow. The majestic bike tour is an amazing opportunity to see Cong and its history, heritage, and breath-taking landscape. The tour caters for all levels of ability. Cycle along the quiet leafy lanes that open into huge expanses of mountain and valley. 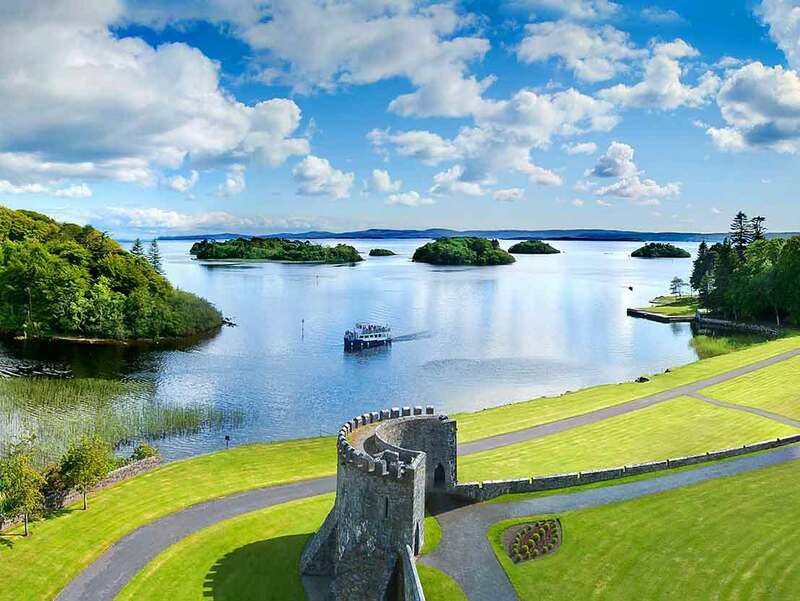 Travel along the river bank and take in the breathtaking views of Ashford, Lough Corrib, and Cong. Come back to the castle for 3 pm Champagne Afternoon Tea. The storyteller will entertain you during the meal. 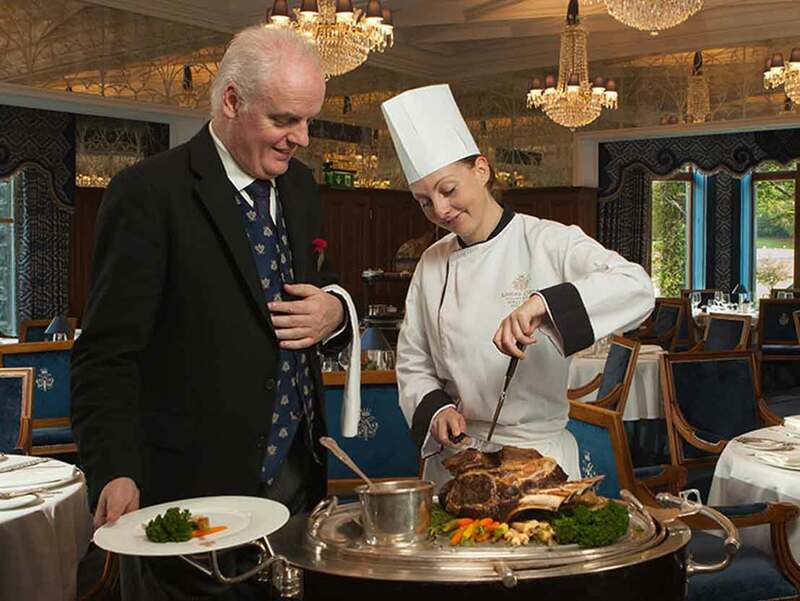 George V Restaurant: A truly classic and elegant affair. Executive Chef Stefan Matz creates classic dishes using only the best, locally sourced produce to offer a mouth-watering dining experience. Galway is still known today as the City of the Tribes, the name referring to 14 important Anglo-Norman merchant families who lived there and dominated the life and trade of the city during the middle ages. During the 15th and 16th centuries, ships from Spain, France, the Caribbean and South America crowded its harbor and the town was a wealthy one. It all went wrong in 1692 when the city gave its support to James II in the English Civil War. He lost. When the victorious William of Orange sent Cromwell to restore order in Ireland Galway was firmly in his sights. The city was taken, its families relieved of their power and influence and the city sank into an economic depression from which it has only truly emerged in the last 30 years. Eyre Square is the center of Galway and the pivot around which the city moves. The land here was given to the city 1710 by Edward Eyre, then mayor of Galway. In 1965, the square was officially renamed “Kennedy Memorial Park” and there is a bust of J.F. Kennedy in the park. Towards the end of Shop St down a side street on the right is the 14th century Collegiate Church of St Nicholas of Myra, built from Connemara Marble and local limestone and named after the saint otherwise known as Santa Claus. The church has served it a congregation, at some times Catholic, at others (as now) Protestant, for more than 650 years. The only interruption to this came in 1652 when Cromwell’s forces seized the church and used it for a time as stabling for horses. The importance of Galway as a trading center is evident from the tombs which have symbols of trades included in their decoration - with a stone mason, a wool merchant and a goldsmith among them. Just outside St Nicholas Church, a rather ghoulish panel appears below a window in the only remaining wall of a building that was once another home of the Lynch family. The story goes that in 1493 Walter, son of the serving mayor James Lynch, was found guilty of murdering a Spaniard and sentenced to death. However few believed him guilty and nobody willing to carry out the sentence could be found. Determined that the rule of law would prevail, James Lynch hung his own son at this spot. Quay St has many small craft shops and restaurants and also two famous pubs, The Quay’s which is famed for its traditional music sessions and Tigh Neachtain, where the old interior with its little ’snugs’ or booths is a real beauty. Head towards Ashford Castle for lunch. In the afternoon you will experience memorable activity, suitable for both genders and all age groups. No visit to Ireland is complete without an introduction to the cultural phenomena of Gaelic games! The unique sports of Gaelic football, Hurling and Handball are the most popular sports in Ireland. However, Gaelic games are far more than just sports – they combine cultural expression with sporting endeavor; the local success of the sports is globally unparalleled as have become a tangible expression of local and national Irish culture. While the sports transfix the Island nation every year, the games are almost unknown outside the Island of Ireland. The sports are a cultural gem so deeply buried that they sometimes appear to be a jealously guarded national secret. In the evening enjoy Irish Traditional Show and the dinner. Trad on the Prom celebrates the passion of Ireland's past with a contemporary production, of world class music, song and dance derived from the pulsating energy that has survived from the dawn of Celtic mysticism to become the record breaking phenomenon it is today. Performers who have captivated audiences in such extraordinary productions as 'Riverdance', 'The Chieftains', 'Lord of the Dance' and 'Feet of Flames' have now gathered together on ONE STAGE for an unforgettable entertainment experience in the City of the Tribes. Now in its tenth consecutive season, Trad on the Prom retains its position as Ireland's Number 1 music, song and dance experience. After the breakfast, leave West behind and tour to Dublin. Stop at Johnnie Foxes for a lunch. 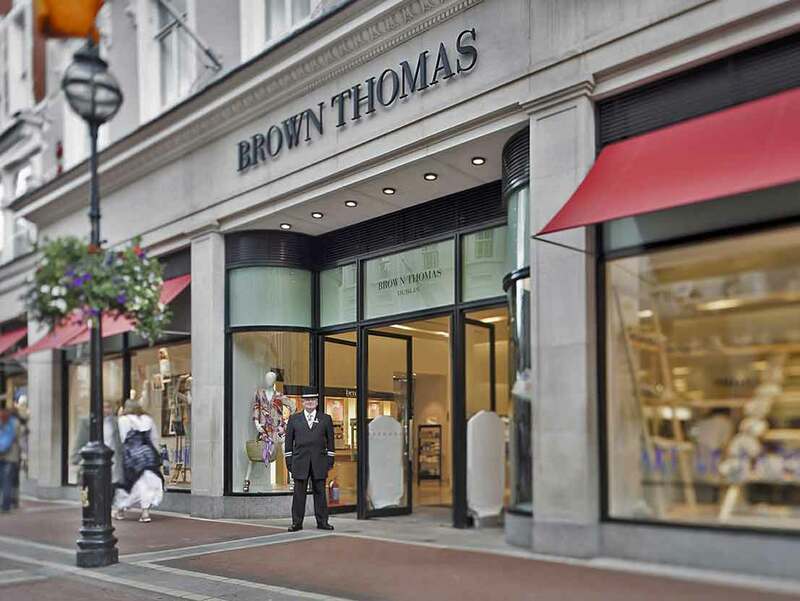 Enjoy hands-free shopping at Brown Thomas. You will be accompanied by your personal shopping assistant. Dublin has long been a center of art and culture. Stroll through the elegant Georgian streets of Merrion and Fitzwilliam Squares, shop in the elegant emporiums of Grafton Street and Powerscourt Townhouse, explore the collections of the National Museum and National Gallery, the Irish Museum of Modern Art, and many fine small private collections. The range of art and artifacts is enormous, and you will have no problem spending many hours enthralled. The city is over a thousand years old, and many of the towns and settlements that surround it are equally ancient. Successive centuries have left their distinctive overlays of character and architecture which means that Dublin has a wealth of historically significant and fascinating sights to explore such as Dublin Castle, where the Normans ruled from the 12th Century, St Patrick's Cathedral, of which Jonathan Swift was Dean, and Trinity College, famous for The Book of Kells and for its alumni who include Oscar Wilde and Oliver Goldsmith.